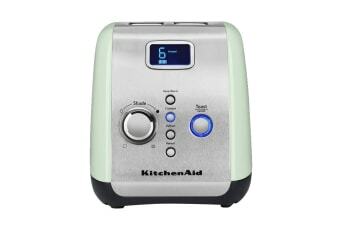 Preparing deliciously golden toast and crumpets is easier than ever with the KitchenAid 2 Slice Toaster. 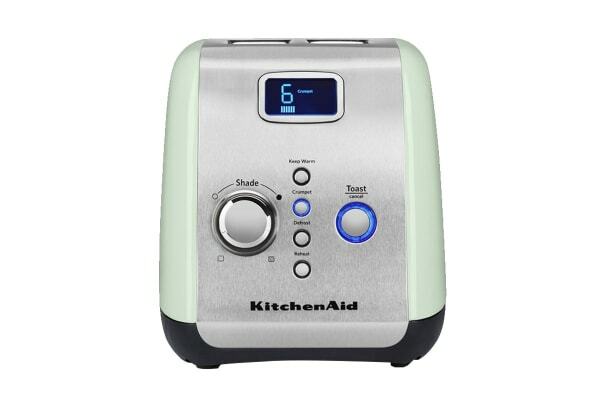 The KitchenAid 2 Slice Toaster features a motorised lift button that gently lowers and raises your bread and a blue LCD display that keeps track of your personal settings, so you can enjoy your toast in just the way you like it, every morning. Enjoy your toast in just the way you like it with Crumpet, Keep Warm, Reheat and Defrost modes, as well as a custom temperature knob. The digital countdown bar lets you know when your toast will be ready.